This medium size range bag is perfect for the Handgun or Long gun shooter. We have incorporated our new Visual I.D. Storage System‰ã¢ that helps the shooter quickly access Shooting Glasses, Ear Plugs, Ear Muffs, Extra Magazines, Binoculars, Shooting Targets, Tools, Ammo Dump Cups (2), Stapler, Tape or Cleaning Supplies. Lift ports are on each end of the bag for easy maneuvering with 2 hands. 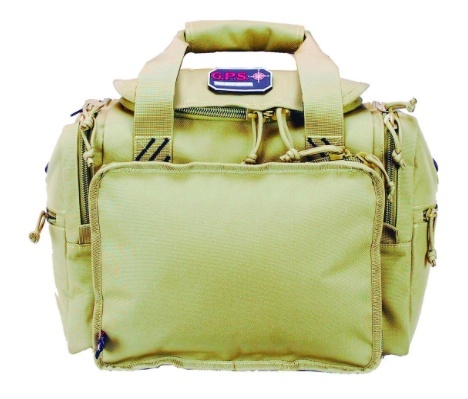 The bag features padded walls and bottom to protect firearms and ammo while traveling to and from the range. 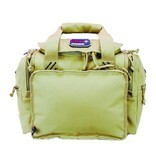 This bag features metal reinforced hardware on the shoulder strap for durability and hands free transportation. Large loop zipper pulls allow for a lock to be added to secure all areas for legal transport.